How do Bookies Balance Bets? If you are just starting as a bookie or if you are already an established bookie with numerous players that bet with you then you will all but definitely be using a pay per head website to book your action. Sure you could be using paper and pen and taking wagers thru text and a phone call from your players but this is a ton of work and there is no way you would possibly be able to offer anywhere near the amount of wagering options that a PPH service could. These services provide you with a website with updated up to the second odds on thousands of sporting events and props every day. They take care of all the technical aspects of the lines so that you as the bookie can focus on acquiring more players and managing your payments and collections with your players. One question that often comes up with bookies is how they go about balancing the bets they receive. The easy answer is that if a bookie wants to balance their book then they would need to have a personal account where they would be able to make bets themselves. So for example, if a bookie has 10k on the Patriots and only 2k on the opposing side, that means they are exposed 8k on the Patriots, and if they wanted to layoff or hedge some of the 8k risk they could bet a certain amount on the opposing team. However, it must be acknowledged that having a balanced book is not something that is going to be that common, because to successfully have that you would need to have thousands of players betting with you and even if you had that many players the public still generally bets the favorites in most games in a lopsided amount. So even though in theory it would be nice to always have a balanced book and just collect the juice and not have any risk, this is not something that in reality can be achieved all the time, unless you are constantly laying off action. However the whole premise of being a bookie is to take risks, and the bookies that make the most money are not the ones that layoff action, but are the ones that instead leave their book unbalanced and take the risk that the public will be wrong more cases than not, which over the long term is what happens in this industry. 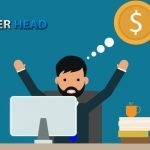 But if you are truly worried about the risk of having an unbalanced book and laying off at least part of the action, then using a pay per head service such as AcePerHead.com is the perfect service to use because they have a wager alert feature that you can set on your account. This feature allows the bookie to either place a phone number or email so they can receive bets based on the parameters they set. So, for example, you can set up an alert to get every bet from every player or you can set it to just get alerts on certain wagers over a certain amount and on specific players. Then using these alerts the bookie can lay off bets on his personal betting account. Or a bookie can use Ace’s exposure report and see a detailed report of how much action the bookie has on each game and he can then use that information to determine if he wants to layoff the action and how much. 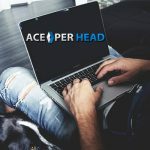 So whether or not you want to balance your bets as a bookie or not, Ace Per Head will give you the tools on the agent backend to be able to do it successfully. Are You Keeping Up with the Times? 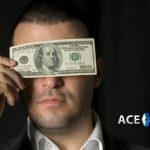 How do Sportsbooks Make Money? Where Can I Become a Bookie Agent? 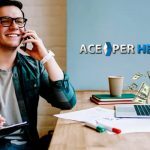 Ace Per Head has been in the online bookmaking services business since 1998 running one of the top rated and most trusted brands in the pay per head industry. We give our agents the personalized dedicated service they deserve. Ace Per Head is a service provider for sportsbooks looking create a presence online. We provide web access to user tracking and accounting software. 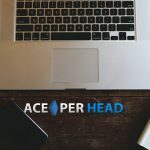 Ace Per Head does NOT handle any wagers, transactions, or other gambling-related tasks, nor does our software facilitiate or serve as a medium for such transactions.